At least in years past they got it wrong the same way -- picking the four most deserving teams instead of the four best teams, as they purport themselves to do. "The process will inevitably need to select the four best teams from among several with legitimate claims to participate." 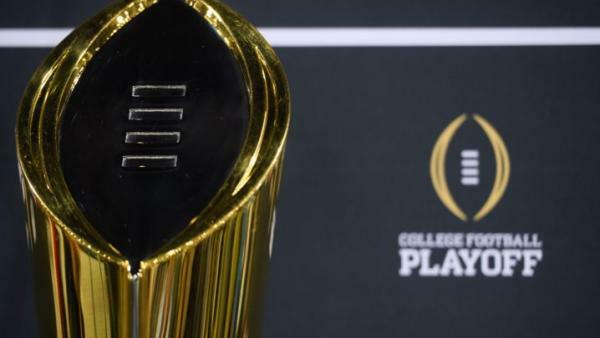 The College Football Playoff Committee got it wrong… again. At least in years past they got it wrong the same way -- picking the four most deserving teams instead of the four best teams, as they purport themselves to do. Whereas one could once find comfort in the consistency of their ineptitude, now nothing remains but the cold truth that this experiment in the cognitive ability of man over machine has been nothing but an abject failure. So why again is Notre Dame in? If these people can outwardly acknowledge that wins and losses are not the end all, be all, then simply going undefeated should carry no weight beyond a given team’s game-to-game resume. Luck is a fickle mistress, and many may not want to fully acknowledge the role it plays in this sport on a weekly basis (unless it helps your favorite team’s argument). Unlike other sports with more comprehensive scheduling, we have only a twelve to thirteen game sample size with which to evaluate college football teams. Regardless of strength of schedule, which people harp on to an unnecessary degree, there is much more to be gleaned by how teams perform -- be it against Alabama or against UConn -- than the actual final score. Record based arguments are superficial at best, and often more closely align with willful ignorance. Notre Dame had sub-50% postgame win expectancies against both Michigan and Vanderbilt, and was played to within a score by Ball State, Pitt, and USC, the latter three of which have a combined 21 losses and an average S&P+ ranking of 74. Their overall S&P+ strength of schedule ranked 61st. What’s really the difference between them and a 9-3 Penn State team that played the 11th ranked schedule, lost a coin flip game to Ohio State and one to Michigan State in which they had a 75% postgame win expectancy? The difference is that Notre Dame won all their games and Penn State didn’t, which should probably play into an argument as to who the most deserving teams are, but should absolutely not be considered in any case as to who the four best teams are. And if we’re just doing the laziest, most superficial thing and looking at records, then how on earth is Notre Dame any different from UCF? The Golden Knights’ strength of schedule ranked 22 spots lower than Notre Dame, but they did play an extra game, giving us a larger sample size. At least Central Florida won convincingly against the terrible teams they played. Notre Dame couldn’t even do that. Speaking of lazy and superficial, let’s go back to the selection protocol: In any ranking system, perfection or consensus is not possible and the physical impact of the game on student athletes prevents elaborate playoff systems of multiple games. For purposes of any four team playoff, the process will inevitably need to select the four best teams from among several with legitimate claims to participate. Every word of that is a lie. If the physical impact of the game on student athletes prevents a playoff system of multiple games, then what the hell are the FCS Playoffs? The NCAA, the same governing body of both subdivisions, is perfectly fine with North Dakota State’s student athletes participating in a multiple game playoff format, but god forbid Alabama’s student athletes do it. This is the height of hypocrisy. Plus, under the FCS format, the most games any team will play, even if you don’t get a bye and still make it to the title game, is 16. That’s only one more than the most an FBS team could. The format debate is a discussion for another day, but this just serves to illustrate how brazenly the college football brass will outright lie. Beyond that, it’s right there in the text: “best”. The best teams are what we’re after. Not the undefeated teams. Not the most deserving teams. Not the conference champions. The best. In 2014, everyone knew Florida State was fraudulent. They were ranked 12th in ESPN’s FPI after the conference championship games, and finished the season 11th in FEI and 17th in S&P+. But they went undefeated through the regular season and won the ACC championship. Then, as anticipated, they lost by almost 40 points to Oregon while an obviously better TCU team sat at home just because the Big 12 didn’t have a stupid conference championship game, and then bludgeoned Ole Miss 42-3 a couple of days later in the Peach Bowl. In 2015, Michigan State had negative win expectancies against both Nebraska and Michigan, and was played to within a score by the likes of Iowa, Purdue, and Rutgers (avg. S&P+ ranking of 79th), yet lost only one of those games and went on to win the Big Ten. Even though they finished the season ranked 8th, 14th, and 18th, respectively in FEI, S&P+, and FPI, it was enough to earn a playoff bid, despite clearly not being among the four best teams. They were shut out by Alabama, 38-0, while Ohio State, whose only loss came in a toss-up game with the aforementioned Spartans, was left out despite ranking in the top four of each of the above metrics. The clearly better Buckeyes would go on to dismantle Notre Dame in the Fiesta Bowl. Man, one game sample sizes are stupid… even head-to-head. So often the better team doesn’t win, and sometimes the better team that day doesn’t even win. Surely the committee would learn from this. Sort of. At least by now they had so bastardized the original intent of their process that the subsequent two years worth of selections could be construed as acceptable. Washington probably wasn’t one of the four best teams in 2016, nor Oklahoma in 2017, but both were close enough that, by their own protocol, it was justifiable. Here is said protocol: Establish a committee that will be instructed to place an emphasis on winning conference championships, strength of schedule and head-to-head competition when comparing teams with similar records and pedigree (treat final determination like a tie-breaker; apply specific guidelines). In fairness, these aren’t entirely unreasonable avenues in which to evaluate teams, all else being equal -- the margin, under the premise of “best” (as opposed to “most deserving”) indiscernible. That was not the case in 2018. Alabama and Clemson are the clear top two teams in college football. The top two teams in net points per drive, FPI and S&P+, the Tide and Tigers have been absolutely dominant. These may very well be two of the five or six best teams of the past decade, just by happenstance appearing in the same season. There is no debate to be had here. Then, for some reason, the committee seemed to include Notre Dame in that category of non-negotiable selections. That’s ridiculous. The argument shouldn’t have been between Georgia, Oklahoma, and Ohio State for the fourth spot. It should have been between those three, plus Notre Dame, and maybe UCF (although the McKenzie Milton injury probably ought to preclude them from that discussion, as it should, which is one of the few benefits to a human selection committee). Those strength of schedule rankings are largely useless beyond illustrating how dumb it is to dismiss Georgia because they lost two games. The resume rankings should be more predictive as to what the committee does because, as previously established, these people do not and have never carried out there stated goal of picking the four best teams, instead picking the four that they deem most deserving. This is particularly disturbing, because Georgia, in both measures, was “more deserving”, but I don’t really want to badmouth Oklahoma and their flaming trash can defense since they should also be in the playoff (you know, on account of their historically great offense and the fact that the objective of the game is to score the most points). The latter two numbers display “best”. Putting those teams in is the charge of the committee, and it is one that they have failed time and time again. That’s why 25% of the semifinal matchups to date have been a shutout and all but two decided by three or more scores. Georgia and Alabama played the best game of the year yesterday. Rather than run that back, we’ll get to watch Clemson and perhaps the best defensive line ever obliterate Notre Dame’s abysmal offensive line. Ten points might be enough for Dabo Swinney’s group to win that one, but I’m sure they’ll pour on a 40-piece for good measure. Another year, another blowout that could have been avoided. The committee isn’t just screwing one of the four best teams out of a chance at a title on an annual basis, they’re ruining the viewing experience for the fans. Granted, selecting the best viewing experience isn’t their task, but just putting the four best teams in, which is their task, accomplishes the same goal. There are problems within the committee, even outside of the lies they tell. The rotating panel leads to a lack of consistency. The process is obfuscated publicly by platitudinal nothings from which it is impossible to garner any meaning as to what informs their real criteria. It’s not even any of the selectors primary jobs to effectively judge college football teams, made up of current AD’s and former coaches with other responsibilities. The playoff should expand anyway, but as that doesn’t appear to be in the immediate plans, it’s time that the committee either stop lying and make it clear what their actual goals are, or start fulfilling their stated duty. Right now, it’s little more than a farce.